Tender, plump and versatile, this North Atlantic Calamari can be gently poached for cold salads, grilled for complex charred flavors, quickly sauteed for sauces, or traditionally fried as a heavenly treat. 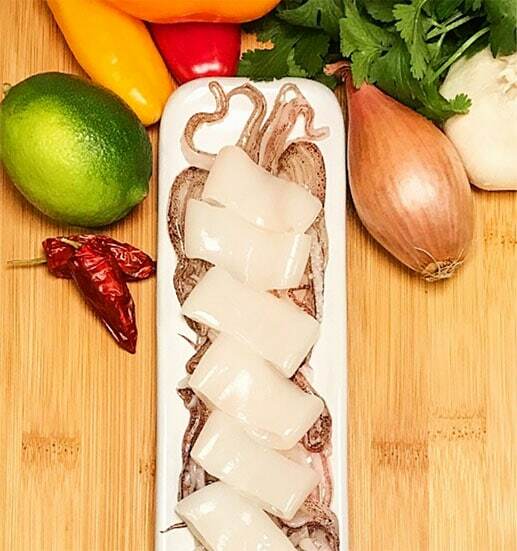 Hand cut fresh and then immediately flash frozen, a new world of Calamari favorites await you! Our North Atlantic Calamari is incredibly special, as are the steps we take in handling it. Only using domestic and fresh North Atlantic Longfin Squid makes all the difference in the world. We have taken the time to immediately clean and trim each piece by hand from small batches. At the peak of freshness, we vacuum seal to preserve the quality and flavor that is like no other. If you are a Calamari lover, you are in for a special treat, and we can’t wait to share it with you!